Harry Hall Ambassador Katie Ruben has slowly brought her former rescue pony Pepsi back from a soft tissue injury in his back, around school and dark evenings. Here’s how.. It is with great happiness and a big smile on my face that we all have survived the winter and spring is now here! So here are the ways I learned to build muscle from scratch. Back in November we had just got the go ahead to bring Pepsi back in to full work after a soft tissue injury in his back. Winter is tough with horses and we have definitely had our fair share of wet and cold weather, but we were determined to follow a strict exercise routine that would hopefully help Pepsi to build up muscle, get fit and give him the best chance possible of preventing further injury. Many fellow horsey buddies have either work or school to go to and there is often not the availability to practise in the middle of the day. So mainly my winter has been made up of walking out when day light allowed, performing different exercises in the school and lunging. 1) MIX IT UP. The first key to our success has been switching the routine around so that Pepsi doesn’t expect the same exercises every day. This is a simple but magic way to improve your horse’s way of thinking, and you don’t need any facilities to do this. Even if it’s just a case of incorporating schooling into hacking one day and have a relaxed hack the next, by doing this your horse is varying the way he uses himself instead of using the same muscles every day. 2) POLEWORK POLEWORK Next, our saviour has been the use of poles!.We have put poles in straight lines, poles in a circle, poles in a square, poles in the corners and raised poles which anyone can do. Supermarket potties are a brilliant and cheap way to raise poles! For Pepsi they break up the boredom of just schooling on the flat and really give him something to think about, plus they make him use the muscles in his back. You can never do too much pole work (within reason)! 3) PLAN DOWNTIME In between the muscle build up exercise, it is very beneficial to give your horse a time to chill and relax. I use the Cottage Craft magnetic mitt as part of our grooming routine which helps to relieve pain from stiff muscle stress and I carrot stretch Pepsi to relieve tension and increase muscle flexibility. There are lots of exercises on the internet that give guidance on the expert way to perform them. I will also give at least one day off a week from work for Pepsi as we all have to put our hooves up for one day. 4) LESSONS FROM A PRO Since a fantastic Harry Hall yard visit at 4* eventer Tom Crisp’s (don’t forget to follow harryhall.com on FB and Twitter if you want to hear about more of these fantastic FREE yard visits to top names around Britain), I have been lucky enough to continue to help out and gain experience at his yard. This has been another element of our winter survival. Flatwork lessons with Tom have continued to help me and Pepsi. He issued some very important words which were “consistency is the key”, so whatever you are working on, keep on it. You will eventually end up with all your hard work starting to show whether you have the opportunity to work with a trainer or you just want to have a successful schooling session. 5) NO SHORTCUTS There are no shortcuts on building muscle, sometimes it takes weeks, sometimes it takes years, and of course it depends on your horse’s workload and what level you are at with your riding. We have started to get out and about, doing some combined training and low key dressage. So far so good! My aim is to get Pepsi out and about hacking and maybe even a trip to the beach as well as competing. We all worry so much about our equine friends and whether we are doing the right thing for them so as long as you are having fun, your horse probably is too! Over the next few weeks, if the ground allows us, we will have a go at some cross country. Pepsi and I are ultimately aiming for a day out evetning soon as long as all goes well! 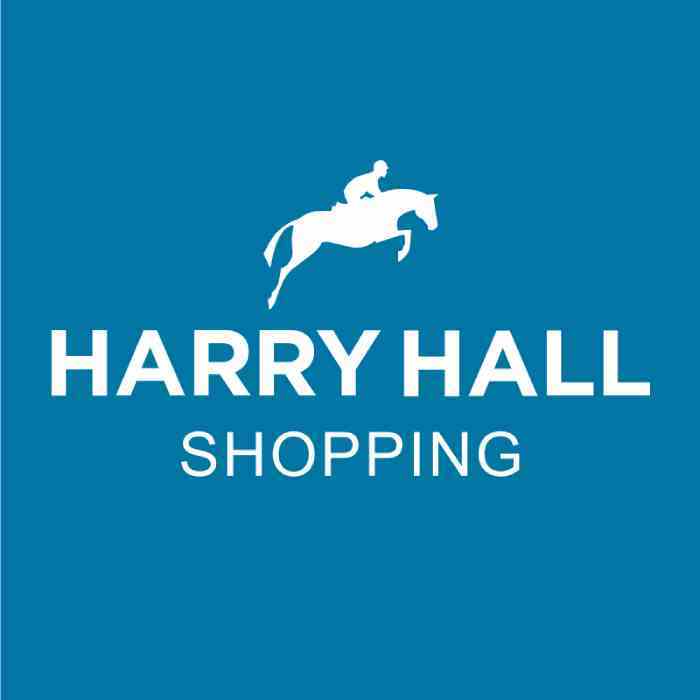 Recently, with the weather starting to brighten up but, still being some cold days I have been living in my Harry Hall Vellow Womans Long Sleeved Top paired with the Harry Hall Burley Womans Breeches in Petrol Blue. Both together make an incredibly stylish outfit and most importantly make the most comfortable yard clothing I have honestly ever worn! I wish everyone the best for the coming season!